Congratulations to the BHS Varsity Girls Basketball Team on winning the Big East Conference Tourney Championship! In the first round on Thursday, January 24 at Baltic, the Watchdogs defeated the Baltic Lady Bulldogs by the score of 80-19. In the second round on Friday, January 25 at Baltic, the Watchdogs defeated the Flandreau Fliers by the score of 60-53. 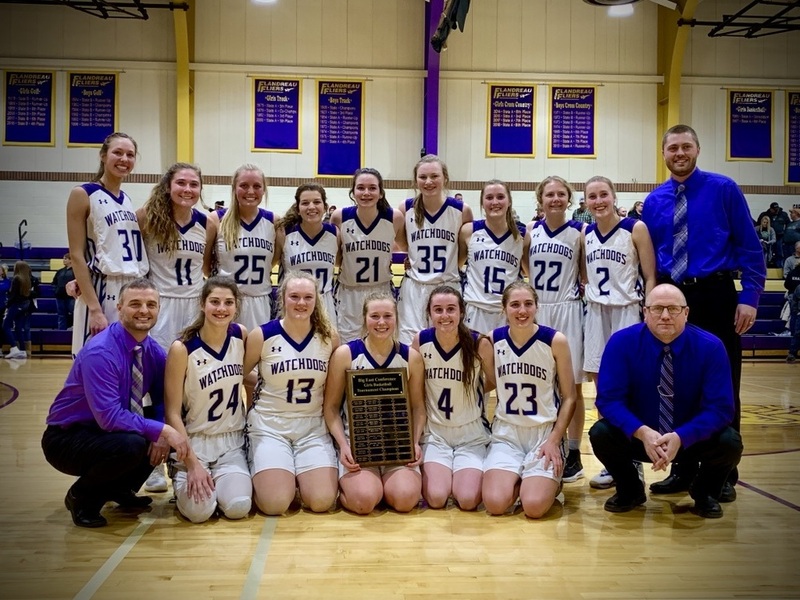 In the third round championship game on Saturday, January 26 at Flandreau, the Watchdogs defeated the #4 ranked McCook Central-Montrose Fighting Cougars by the score of 49-42! Copyright © Beresford School District 2019. All rights reserved.